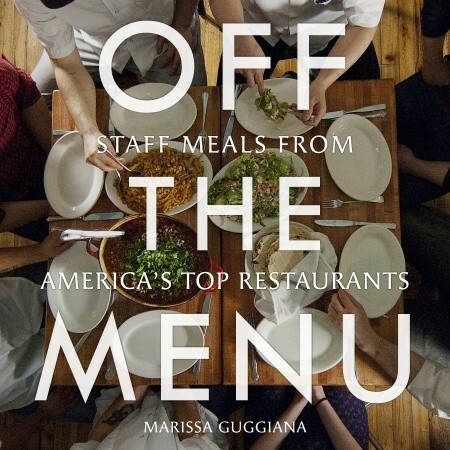 For Off the Menu, Marissa Guggiana spent months on the road, interviewing, traveling, photographing, and sharing staff (or family) meals at more than 50 of America’s top sustainable restaurants from coast to coast. For every lunch or dinner service, there is a staff meal. The best chefs in the best restaurants take their limitations — affordability, ingredients, and time — and create meals worthy of their compatriots. Ranging from small plates to multi-course extravaganzas, the concept is simple: A well-fed staff is a happy one. Guggiana looked for chefs who sourced locally and thoughtfully, with a big eco-picture in mind and a well-fed staff at heart. The result is simply unprecedented: a no-holds-barred trip behind the kitchen door, introducing you to every chef, sous-chef, line cook, server, bus boy, bartender, hostess, sommelier, dishwasher, and manager, all of whom you will come to adore. Off the Menu, an homage to cooking with love and leftovers, makes accessibility a delight. Lush, colorful, homegrown, and delicious, it is packed with lessons, tips, substitutes, anecdotes, and American wine and beer suggestions. The restaurants included vary from vegetarian to rustic Italian, from Asian-fusion to contemporary Mexican, from Scandinavian to oyster bar. These are the meals that make the staff a family and the family part of the staff. Inside Off the Menu, you'll find 100 recipes. Each entry includes profiles of the restaurants, Q&As with the chefs, behind-the-scenes trips to the kitchens, and dining-out tips, restaurant tricks, and cooking techniques from the cream of the culinary crop. Pull back the curtain on the staff meal, and find new, exciting ways to feed your family from the best in the business.